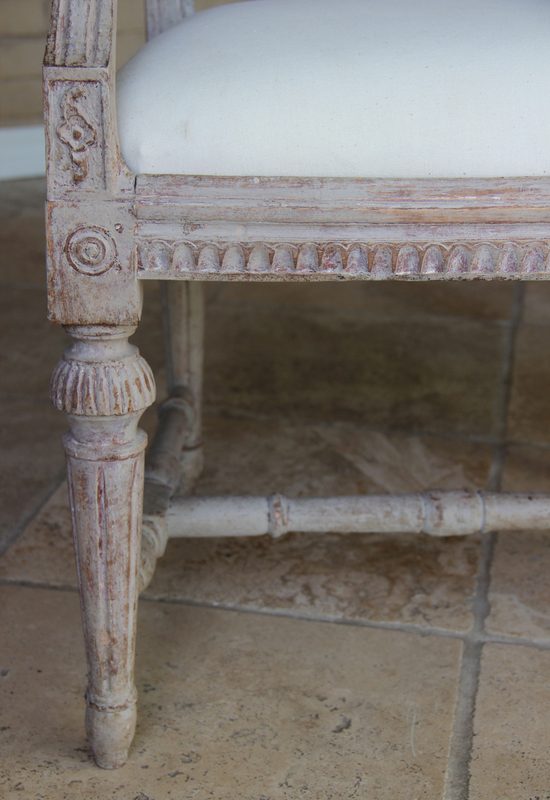 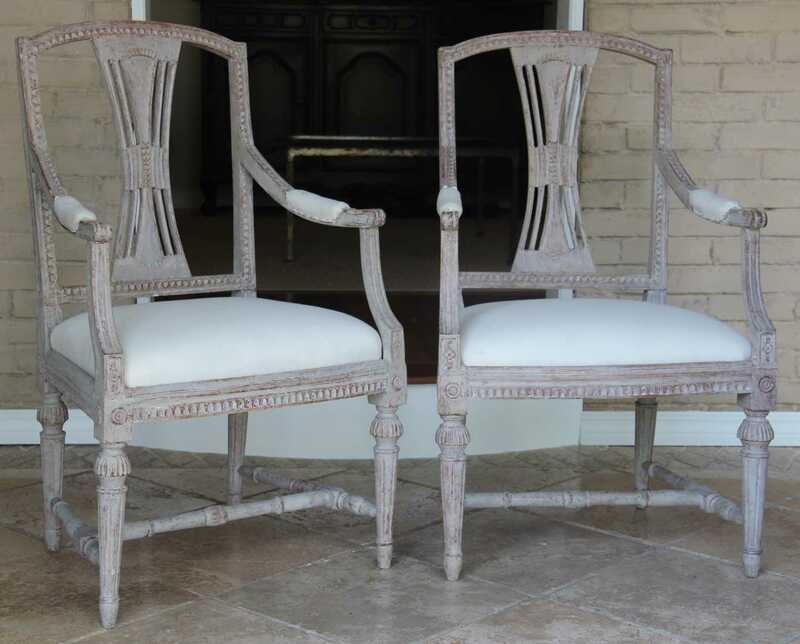 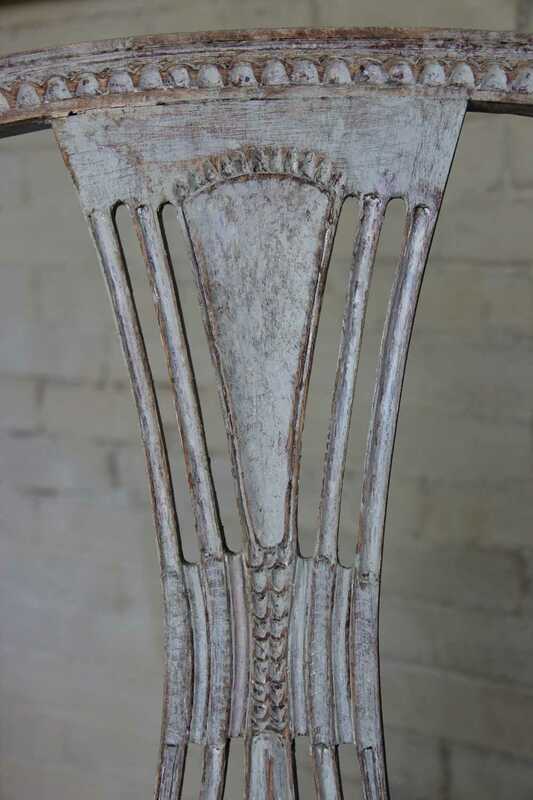 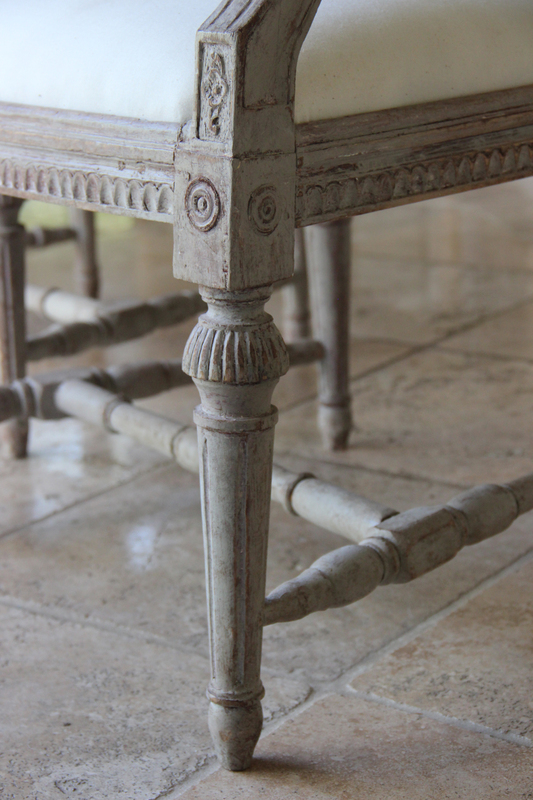 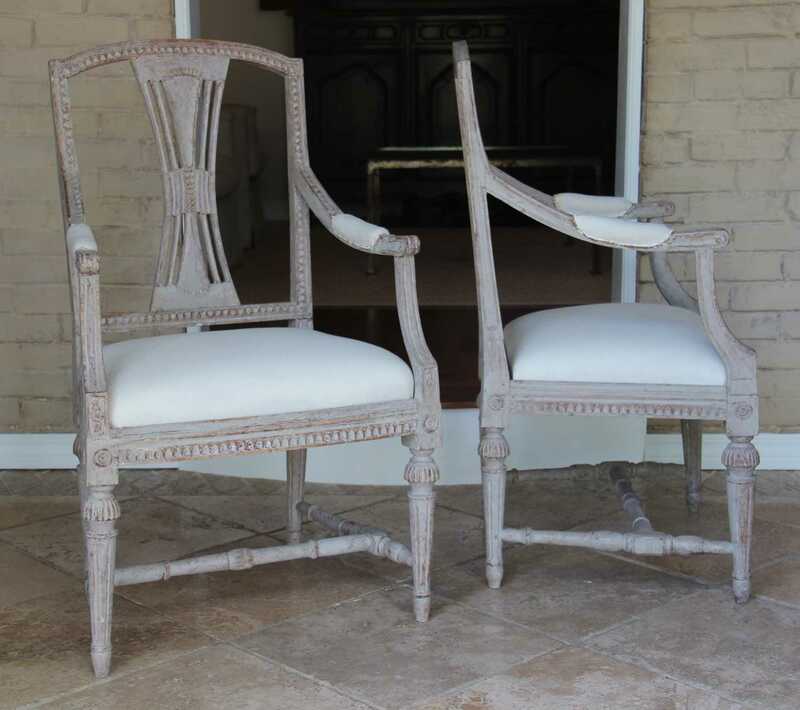 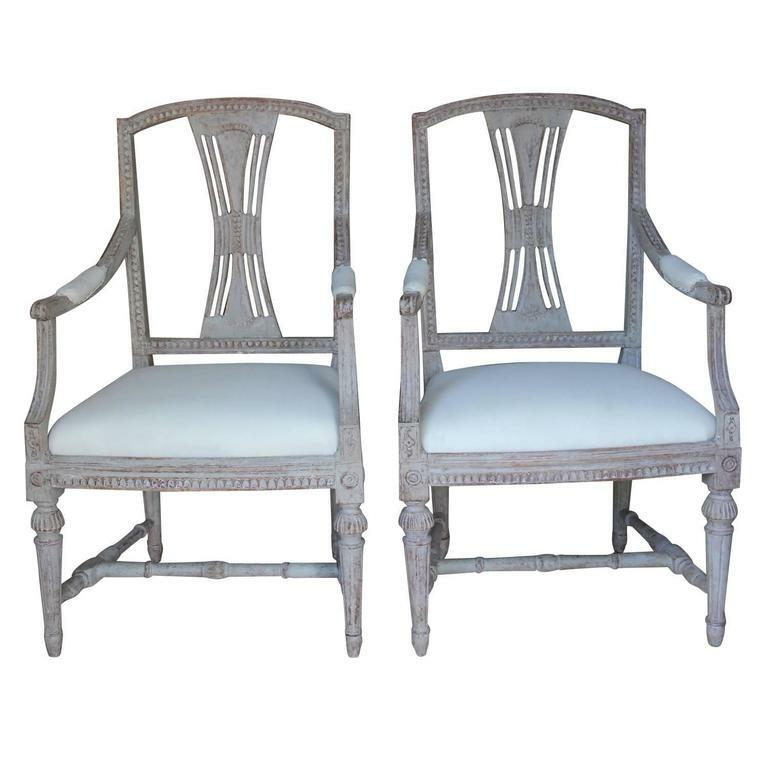 Pair of 18th Century Swedish Gustavian Period Chairs in Original Paint | Maison & Co.
A pair of Swedish armchairs from the Gustavian period with lamb's tongue carving on the frame; pierced splats; and round, fluted, and tapered legs with cross stretcher. 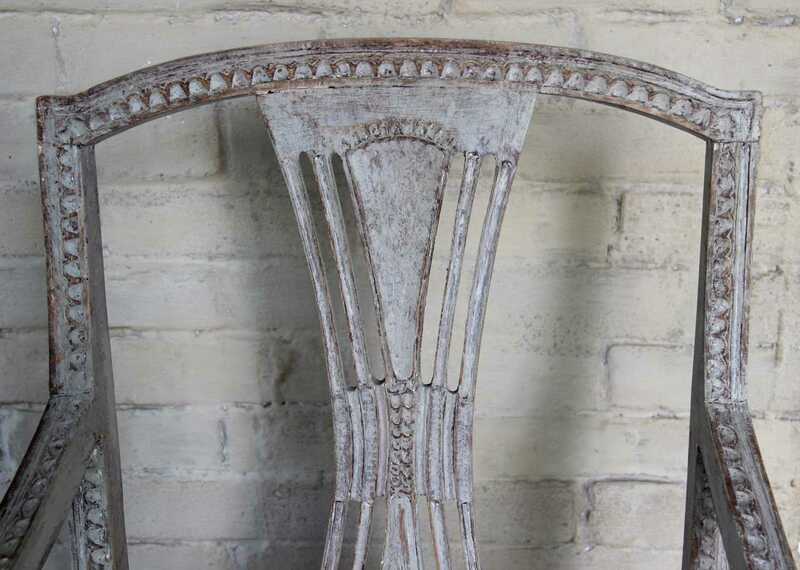 The soft gray, dry-scrapped paint is original. 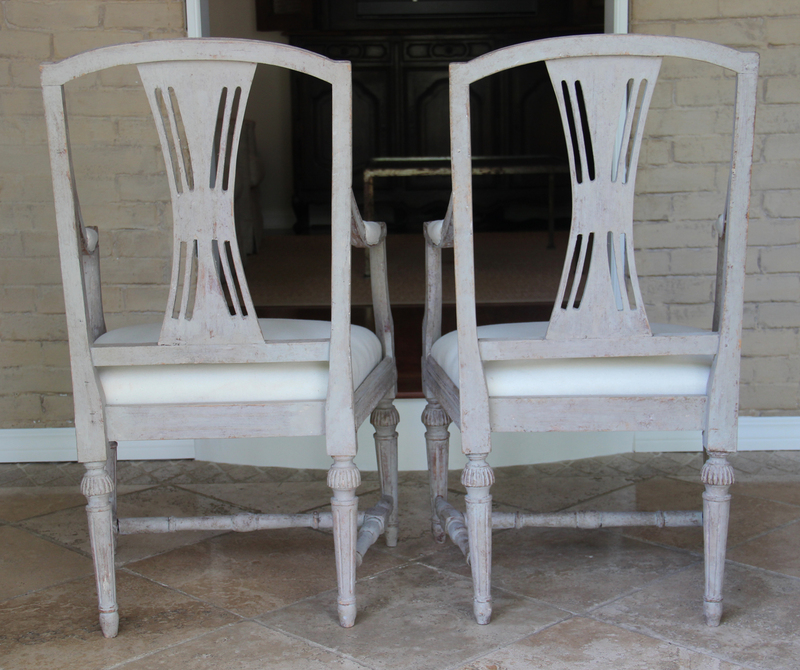 These chairs are ready to be reupholstered, circa 1790. 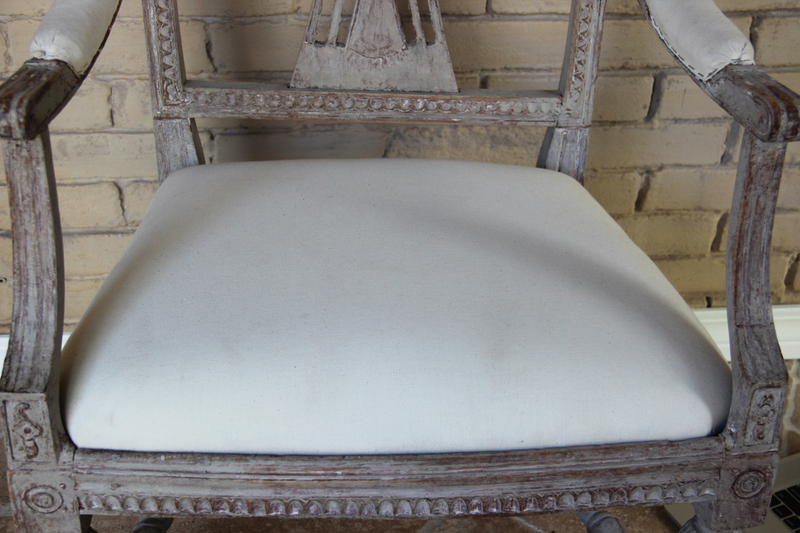 The arm height is 25.88" H at the end of the arm and 26.25" H at the center of the upholstered portion of the arm. 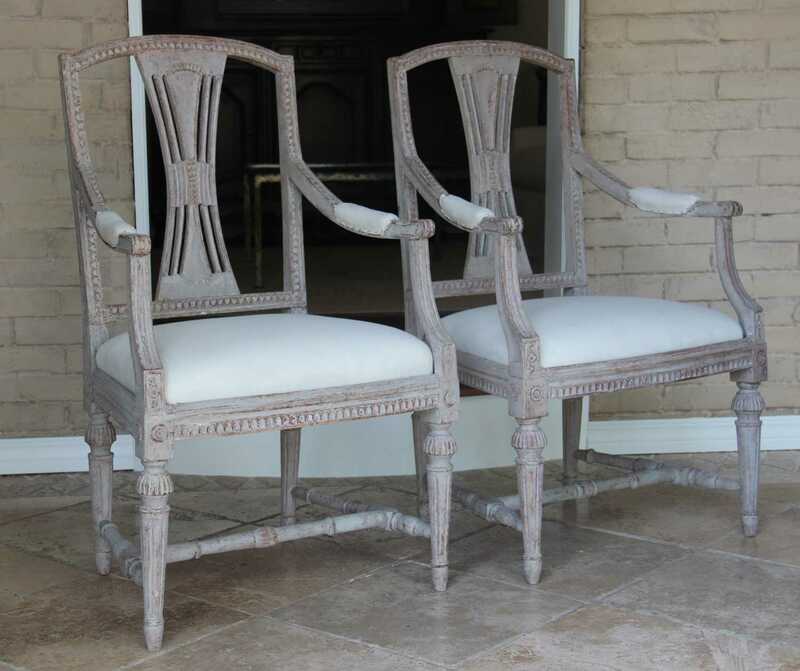 38.75" H x 23.88" W x 21.5" D Seat Ht: 18.5"